RT has shot stunning video from inside a Russian Emergencies Ministry (EMERCOM) plane putting out Chile’s worst-ever wildfires. 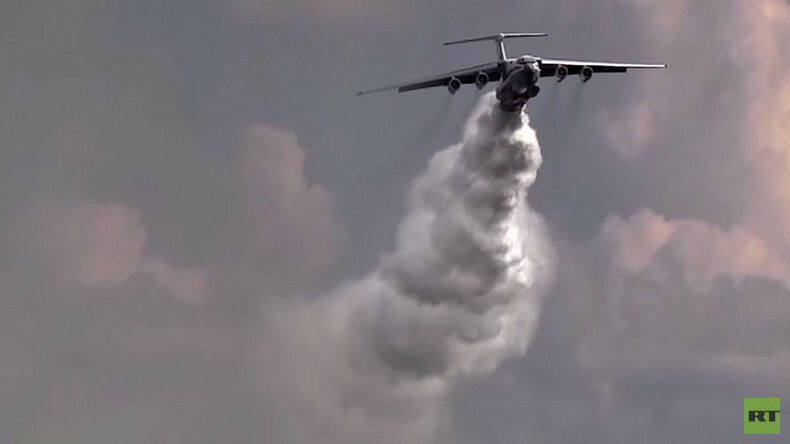 The IL76 is capable of dropping some 42 tons of water in one go. The EMERCOM firefighting team and its plane were sent to Santiago on Monday at the request of the Chilean government. RT’s Roman Kosarev and his crew joined one of the flights to witness how the water is dropped onto the fast-spreading blazes and talk to the firefighters, who shared some interesting tricks. “When you set off early, when there is daylight, the earth is not that warm yet, there is no turbulence, the visibility is better. Now when the sun goes down, it’s a bit more difficult because the plane is shaking and the visibility is worse,” one of the firefighters said. 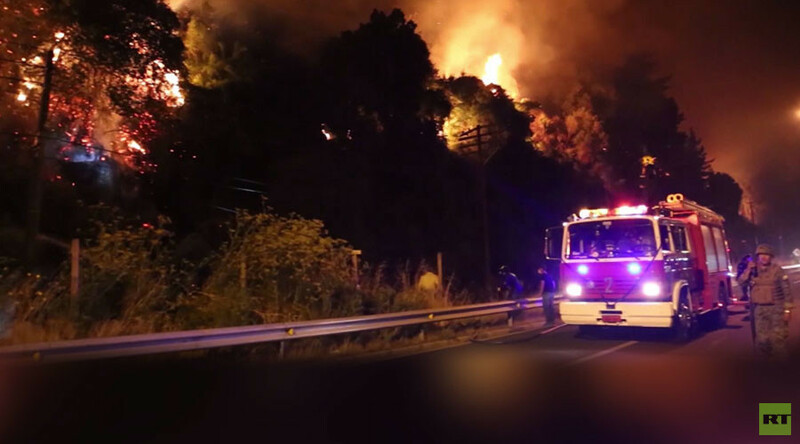 Wildfires are common in Chile’s hot summer, but they have been particularly severe this year due to extremely high temperatures and a prolonged drought. At least 11 people have been killed in the fires, including five firefighters, and several thousand people have been left homeless.